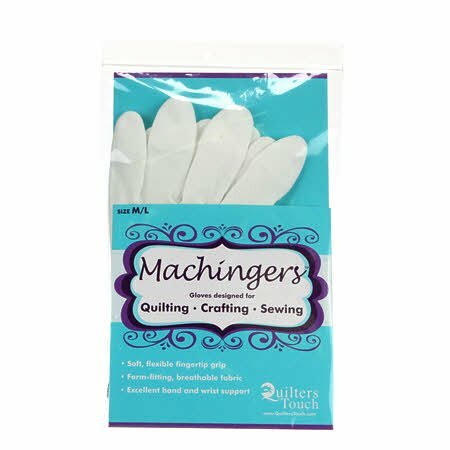 Small/Medium Quilters Touch Machingers Gloves are designed for machine quilters. A soft, flexible fingertip grip gives you full control with less resistance and drag on fabric. No more taking your gloves off to change thread, adjust fabric or remove pins. Reduces fatigue and tension in hands, arms, shoulders and neck. Excellent for machine piecing and quilting.